Gilas Pilipinas vs USA exciting basketball battle at 2015 William Jones Cup: Who will dominate over the other? USA's Overtake-Select plays against the Philippines' Gilas Pilipinas right now in Taipei, Taiwan in Day 8 of the Jones Cup, the 3rd game of the day. Earlier, we've seen Japan winning against Chinese Taipei B, 55-72, and Iran scoring a 24-point win vs Russia, their 7th and last win already in the tournament. 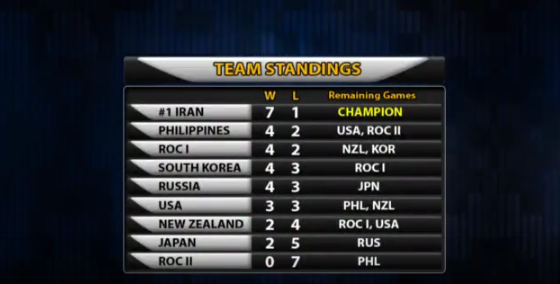 With 7 wins and just 1 loss, Iran has now been declared the tournament champion. And now, the Philippines' Gilas Pilipinas vs USA is next, one of the most anticipated matchup among the remaining games in the tournament. 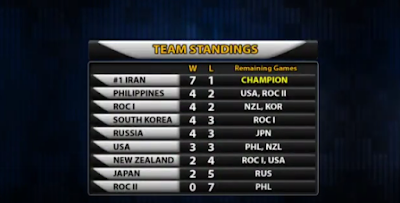 While USA currently is behind the Philippines in team standings, it's important to note that it was USA who gave Iran their only loss. Both teams consider this game as a crucial one in order for them to secure their places in the team standings. And the games has started. 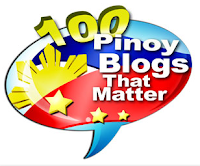 Starting 5 for the Philippines are Calvin Abueva, Dondon Hontiveros, Gabe Norwood, Sonny Thoss and Ranidel de Ocampo. Still, Terrence Romeo won't be playing. The starting lineup meanwhile for the American team are Anthony McDonald, Cory Bradford, Calvin Warner, Marquin Chandler and the 2nd tallest from the team, Derek Hall (7'1). 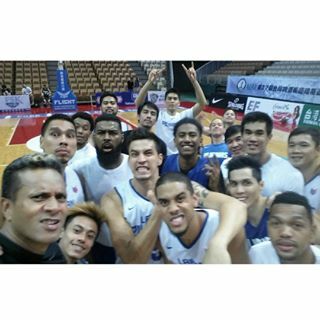 After USA vs Philippines, New Zealand vs Chinese Taipei A will follow at 7PM.